... and get a closer look into the world of Arne Jacobsen – the genius that made Danish design world known – as we share stories, inspiration, product offers and news with you. Arne Jacobsen straps and bands are available in a carefully selected range of colors and materials, previously used by Arne Jacobsen in his designs. The leather straps are from hand-selected Italian calfskin and the mesh bands are made of high grade 316 stainless steel. The strap is easily changed either by a watchmaker or by yourself using a small screwdriver. 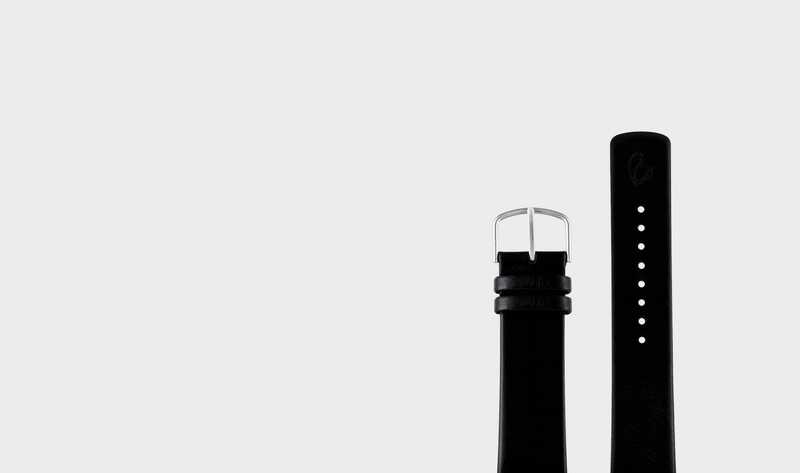 All straps are delivered with two new stainless steel spring bars that fit the watch. ©The copyright holder of all of the late professor and architect Arne Jacobsen’s designs is Arne Jacobsen Design I/S. Copenhagen Watch Group A/S is the exclusive global licensee of the watch designs by Arne Jacobsen.